By making a payment the customer declares that he or she is fully aware of all terms & conditions and agrees to and accepts them. Under no circumstances is a customer allowed to re-sell the beat in any form. Rights given to customers are not transferable in any case. Even if exclusive rights are sold to a beat / instrumental, LiLMedicBeats.com (LiL Medic) will be allowed to use the beat for promotional uses. Therefore all beats sold exclusively will stay on the webpage (we will remove on request). However, if exclusive rights are purchased, all downloads and licensing options to the beat will be removed. Customers can not change the sound-structure of a beat / instrumental. Therefore it is not allowed to use any part of the beat / instrumental, i.e. instruments, sounds, drum arrangements, etc. of the original instrumental composition for other compositions. After the delivery of the beat, LiLMedicBeats.com (LiL Medic) will be unbound of any further responsibilities to the customer and legally free of further duties. Any beat / instrumental produced by LiLMedicBeats.com (LiL Medic) may not be uploaded on any website without his permission. Abuse or failure to adhere to listed terms & conditions is punishable by law. Payment plans for services and products, can be set up individually. A verbal or written separate individual agreement therefore is necessary. Payment plans can vary from 2-4 payment steps, at least ¼ of the total price of the service(s)/product(s) needs to be paid upfront as a down-payment. You will have up to 6 – 8 weeks to complete the full payment. If the customer does not fulfill his payment-plan obligations and does not complete the payment plan or keep up with the agreed payment rates and dates, there will be no refund of any payments made, due to the administrative work and possible financial losses. The beat will become available again for sale Exclusively and the customer will keep an Standard Non-Exclusive or Premium Non-Exclusive to the concerned beat(s), in case the payment(s) he made, cover at least the amount necessary for this type of license! Beats that are being paid with payment plans will be put and marked ‘on hold’ on our website(s) price list, and may no longer be sold with exclusive license, but may still be license or leased to multiple customers at the same time until the last payment step of the payment plan has been completed and the total amount of all items/services/products has been paid off and the contract (License Agreement) is signed by both parties. In case of a money-refund by any of the parties, the issued contract becomes invalid. Payments that are in any form held, refunded, cancelled or incorrect, by any of the parties, result that the issued contract(s)/license agreement(s) and all of the granted rights therein become invalid and reversed. Any charge backs or payment reversals created against us will result in an instant termination of your License Agreement and legal action may be taken against you. Credit must always be given to ‘LiL Medic (LiLMedicBeats.com )’ in written form, for example ‘Beat by LiL Medic (LiLMedicBeats.com)’. By making a purchase of any kind or downloading demo beats, tagged beats, etc. or any similar content, the customer declares that he will give credit to the producer where possible in a written form (cd cover/booklet, song or video descriptions, YouTube videos, file-names, mixtapes, albums, singles, remixes, social network pages such as Facebook, music sites such as soundcloud, reverbnation, etc.). Proper credit is given as follows: (Example credits: ‘Beat Prod. By LiL Medic (LiLMedicBeats.com)’ or ‘Beat by LiL Medic (LiLMedicBeats.com)’ … Music © 2019 All rights reserved. Used under license. Any displayed or downloadable files such as mp3s, wav files, etc. must include ‘(Prod. LiL Medic)’ within the file name. If beat-composition(s) and/or licensed material contain(s) any pre-recorded and mixed/embedded hook(s) (also known as chorus) by an artist (singer/rapper), the name of the artist is listed and can be found in the filename(s) or purchased items and on our website. If there is doubt about an artist’s name, you, the licensee or person entering into this agreement bound to the terms & conditions, has the responsibility to contact us for this information. In case a beat-composition contains such (a) hook(s), all credit as needed for ‘LiLMedicBeats.com (LiL Medic)’ is also needed to be given in written form as follows (‘Hook by Artist name’ or ‘featuring Artist name’). All hooks come royalty free, as LiLMedicBeats.com (LiL Medic) owns full commercial/profitable rights to them. Beats with hooks being displayed as ‘instrumentals with hooks’ are treated just like all other beat-compositions in regards of licensing and registrations in the terms & conditions. 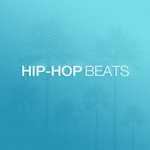 All artists that may be appearing on beats and performing hooks have been paid upfront for their work as ‘work for hire’ and are legally qualified to enter into this agreement without further agreement(s). No further license documentation by ‘LiLMedicBeats.com (LiL Medic)’ is required for proof of legal correctness. “Free” or Evaluation Downloads of any beat / instrumental produced by LiL Medic (LiLMedicBeats.com) do not include any artistic or legislative rights to the beat. Those versions are only for non-profitable personal use. You are NOT allowed to release or upload tracks (recorded over the “Free” Evaluation Downloaded Beats) on Internet pages like YouTube, Soundcloud, Facebook, Instagram, etc. You are NOT allowed to perform any live shows using the “Free” or Evaluation Downloads. The meaning of “FREE” or EVALUATION DEMO DOWNLOADS is to do a song for yourself, to do first pre-recordings & to see if the song works out well & is worth, to make further investments in any of the available licensing types. It is not allowed to make any kind of profit or be released to the public. Furthermore it is not allowed to make any changes to the beat / instrumental or remove the tags ‘LiLMedicBeats.com’ or producer sting ‘MMMMMedic’ by fade-outs, rewinds, etc. Copying or ripping any audio material (e.g. beat, tag, sounds, instruments, drums, etc.) is prohibited & will not be tolerated at any time! The person(s) disobeying this rule will likely face legal action for copyright infringement. By purchasing / licensing music from LiL Medic Beats you agree to adhere the terms of this License Agreement. If you are accepting these terms on behalf of another person, company or other legal entity, you represent and warrant that you have full authority to bind that person, company or legal entity to these terms. All license terms must be followed correctly. Any breach of license terms may result in the termination of this agreement. THIS LICENSE AGREEMENT is made on [DATE] by and between [ PURCHASER ] hereafter referred to as (Licensee/Buyer) and “Songwriters Name” (LiL Medic / LiL Medic Beats) songwriter hereafter referred to as (Licensor/Seller). The musical composition, beat / instrumental [“BEAT NAME”] licensed by (Licensor/Seller) is protected by copyright laws and international copyright treaties as well as other intellectual properties and remains the sole property of (Licensor/Seller). License Validity. ONE YEAR from the purchase date of your PayPal receipt or reaching the terms capacity I.e Selling 2,000 copies or receiving 25,000 audio streams or 100,000 video views. It is specifically understood and agreed that (Licensee/Buyer) understands after ONE YEAR or reaching terms capacity I.e Selling 2,000 copies or receiving 25,000 audio streams or 100,000 video views they must remove all traces of their song from all distribution platforms. Master Use. (Licensor/Seller) hereby grants (Licensee/Buyer) so long as the terms are adhered to in this standard non-exclusive license to record vocal synchronization on the musical composition, beat / instrumental [“BEAT NAME”] that is being licensed in this agreement in it’s original form (Master Recording). Mechanical Rights. (Licensor/Seller) hereby grants original end-user (Licensee/Buyer) the non-exclusive use of the (Master Recording) as long as it is used with vocal synchronization in the reproduction, duplication, manufacture, and distribution of phonograph records, cassette tapes, compact disk, digital downloads, other miscellaneous audio and digital recordings, worldwide for up to the pressing or selling a total of Two Thousand (2,000) copies of such Recordings or any combination of such Recordings, condition upon the payment to the(Licensor/Seller) a sum of Thirty-five dollars ($35), receipt of which is confirmed. Additionally(Licensee/Buyer) shall be permitted to distribute up to Fifty Thousand (50,000) free internet downloads or streams for non-profit and non-commercial use. This license allows up to Twenty-five Thousand (25,000) monetized audio streams to sites like (Spotify, Tidal, Apple Music, RDIO, Rhapsody Etc…). Synchronization Rights. The (Licensor/Seller) hereby grants limited synchronization rights for One (1) music video streamed online (Youtube, Vimeo, etc..) for up to One Hundred Thousand (100,000) non-monetized video views on all total sites. A separate synchronization license will need to be purchased for distribution of video to Television, Film or Video game. Broadcast / Radio Rights. (Licensee/Buyer) understands this license includes ZERO broadcast / radio rights. Content ID / Monetization. This license DOES NOT include the ability to register for any Content ID services or Monetize your YouTube Videos. The musical compositions, beat / instrumental that is being licensed is registered for Content ID, you may see ads along side your YouTube videos but your video will not be blocked. If YouTube blocks your songs, videos please email Licensor/Seller) so they can help you try solve the issue. If you register for Content ID, & or Youtube Monetization you will be in breach of this agreement and the license can be terminated without notice by the Licensor/Seller and the license become null and void. However the Licensor/Seller will do their best to contact you if a violation is found. If you do not respond to the Licensor/Seller within 7 days, the Licensor/Seller will go a head with the termination of the agreement and will push to have any content using the Licensor/Seller musical composition, beat / instrumental removed. Crediting. (Licensee/Buyer) must credit (Licensor/Seller) appropriately on all distributed media and in any performance formats under the name “Songwriters Name” (LiL Medic or LiL Medic Beats) in writing, such as song titles, video titles, song & video descriptions and on any physical and tangible media such as album covers, posters, flyers. Music used without crediting is NOT permitted and may result in your license being terminated , and may lead to legal action being taken against you. Note: Selling more than 2,000 copies, receiving more than 25,000 digital streams (Spotify, Tidal, Etc…) or receiving more than 100,000 Video Views means you must acquire another license or the Exclusive License. (As long as the Exclusive License has not been purchased by another party). Modifications. This License FORBIDS modifications to the beat i.e. removing the “MMMMMEDIC” producer sting or adding additional instruments, sounds and parts to the musical composition, beat / instrumental. However you may adjust track length and make small cuts for beat drops as long as they do not interfere with the (Licensor/Seller) “MMMMMEDIC” producer sting. Consideration. In consideration for the rights granted under this agreement, (Licensee/Buyer) shall pay to licensor the sum of Thirty-five dollars ($35) US dollars and other good and valuable consideration, payable to “Songwriters Name (LiL Medic / LiL Medic Beats)”, receipt of which is hereby acknowledged. Indemnification. (Licensee/Buyer) agrees to indemnify, defend, and protect LiL Medic Beats (Licensor/Seller) from any and all actions, causes of action, claims, demands, costs, liabilities, expenses and damages (including attorneys’ fees) arising out of or in connection with any claim that the tracks furnished by under this license constitutes an infringement of any confidential information, trade secret, patent, copyright, trademark, trade name, or other legal right of any third party. Audio Samples. 3rd party sample clearance is the responsibility of the (Licensee/Buyer). Miscellaneous. (Licensor/Seller) maintains and has the rights to re-sell and license the musical composition, beat / instrumental to more than one party. (Licensee/Buyer) agrees and understands they CANNOT sell, loan, rent, lease, assign, or transfer all OR any of the products licensed by (Licensor/Seller) to another user in its original format. Publishing. (Licensor/Seller) grants (Licensee/Buyer) 0% of publishing rights. (Licensor/Seller) maintains all publishing rights. Unauthorized use or duplication is a violation of this agreement and of applicable laws of the United States and other countries. Any infringement of copyright will be pursued to the fullest extent of the law. License will instantly be terminated without notice if any charge backs, payment reversals are made. Any breach of contract and terms in this agreement will result with the license being revoked and termination of this agreement, and possible legal action taken. License Validity. FIVE YEARS from the purchase date of your PayPal receipt orreaching the terms capacity I.e Selling 5,000 copies or receiving 250,000 audio streams or 500,000 video views. It is specifically understood and agreed that (Licensee/Buyer) understands after FIVE YEARS or reaching the terms capacity I.e Selling 5,000 copies or receiving 250,000 audio streams or 500,000 video views they must remove all traces of their song from all distribution platforms. Master Use. (Licensor/Seller) hereby grants (Licensee/Buyer) so long as the terms are adhered to in this premium non-exclusive license to record vocal synchronization on the musical composition, beat / instrumental [“BEAT NAME”] that is being licensed in this agreement in it’s original form (Master Recording). Mechanical Rights. (Licensor/Seller) hereby grants original end-user (Licensee/Buyer) the non-exclusive use of the (Master Recording) as long as it is used with vocal synchronization in the reproduction, duplication, manufacture, and distribution of phonograph records, cassette tapes, compact disk, digital downloads, other miscellaneous audio and digital recordings, worldwide for up to the pressing or selling a total of Five Thousand (5,000) copies of such Recordings or any combination of such Recordings, condition upon the payment to the(Licensor/Seller) a sum of Fifty dollars ($50), receipt of which is confirmed. Additionally(Licensee/Buyer) shall be permitted to distribute up to One Hundred Fifty Thousand (150,000) free internet downloads or streams for non-profit and non-commercial use. This license allows up to Two Hundred Fifty Thousand (250,000) monetized audio streams to sites like (Spotify, Tidal, Apple Music, RDIO, Rhapsody Etc…). Synchronization Rights. The (Licensor/Seller) hereby grants limited synchronization rights for One (1) music video streamed online (Youtube, Vimeo, etc..) for up to Five Hundred Thousand (500,000) non-monetized video views on all total sites. A separate synchronization license will need to be purchased for distribution of video to Television, Film or Video game. Note: Selling more than 5,000 copies, receiving more than 250,000 digital streams (Spotify, Tidal, Etc…) or receiving more than 500,000 Video Views means you must acquire another license or the Exclusive License. (As long as the Exclusive License has not been purchased by another party). Master Use. (Licensor/Seller) hereby grants (Licensee/Buyer) so long as the terms are adhered to in this Premium Pro non-exclusive license to record vocal synchronization on the musical composition, beat / instrumental [“BEAT NAME”] that is being licensed in this agreement in it’s original form (Master Recording). Mechanical Rights. (Licensor/Seller) hereby grants original end-user (Licensee/Buyer) the non-exclusive use of the (Master Recording) as long as it is used with vocal synchronization in the reproduction, duplication, manufacture, and distribution of phonograph records, cassette tapes, compact disk, digital downloads, other miscellaneous audio and digital recordings, worldwide for up to the pressing or selling a total of Unlimited copies of such Recordings or any combination of such Recordings, condition upon the payment to the (Licensor/Seller) a sum of Two Hundred dollars ($2o0), receipt of which is confirmed. Additionally (Licensee/Buyer) shall be permitted to distribute up to Two Hundred Thousand (200,000) free internet downloads or streams for non-profit and non-commercial use. This license allows up to Five Hundred Thousand (500,000) monetized audio streams to sites like (Spotify, Tidal, Apple Music, RDIO, Rhapsody Etc…). Synchronization Rights. The (Licensor/Seller) hereby grants limited synchronization rights for One (1) music video streamed online (Youtube, Vimeo, etc..) for up to Two Million 2,00,000 non-monetized video views on all total sites. A separate synchronization license will need to be purchased for distribution of video to Television, Film or Video game. Note: Receiving more than 500,000 digital streams (Spotify, Tidal, Etc…) or receiving more than 2,000,000 Video Views means you must acquire another license or the Exclusive License. (As long as the Exclusive License has not been purchased by another party). Consideration. In consideration for the rights granted under this agreement, (Licensee/Buyer) shall pay to licensor the sum of Two Hundred dollars ($200) US dollars and other good and valuable consideration, payable to “Songwriters Name (LiL Medic / LiL Medic Beats)”, receipt of which is hereby acknowledged. Please contact us for our full Exclusive License terms. YOUTUBE & SOUNDCLOUD(Content ID) – LiL Medic Beats (LiL Medic) maintains the unlimited, worldwide rights to register his beat-compositions with a content-ID program/institution such as AdRev, Beat Stars, etc. (if you have questions about content ID or AdRev, please google ‘Content ID’ and ‘AdRev’) and be the sole administrator of youtube rights using such a content ID program. This is necessary and entitles licensor to maintain the administrative and legislative rights to the beat-composition, in order to be able to ensure non-exclusive and exclusive license owners administrative guidance and license-warranties. The main purpose is to stop people from stealing beats and using/monetizing them in videos without owning a license. What AdRev does is scan youtube videos for audio material produced by LiL Medic Beats (LiL Medic) and automatically sends a copyright claim, which blocks your videos from monetization temporarily. Don’t worry! This claim is more a notification and will NOT harm your channel or video, nor does it force you to take down the video(s), the only thing it does, is disable the monetization option temporarily. Your video will keep playing without any other limitations. Anyone using free downloads and tagged demo downloads in videos on youtube can ignore this copyright notification as it doesn’t stop your video from playing and monetization wouldn’t be allowed for non-licensed beats at all (if monetization is desired, you can purchase a premium leasing rights license or higher if the beat is still available). NOTE – All license owners need to send us their link(s) to their video(s) and details of purchase so we can put their video(s) on the whitelist and remove the copyright claim within 5 Business Days – please contact us: contact us including your full name, link to video(s) and/or email address used for purchase. This is the exact message you might receive: Due to a copyright claim, you are no longer monetizing the following YouTube video. It is still playable on YouTube, but the copyright owner could choose to show ads on it. It may therefore be possible that you receive a copyright claim on youtube videos, even if you own a license. As listed above, please follow the instructions written in bold! Using a content ID program is the only way we can assure that only people with an appropriate beat-license are monetizing their videos rightfully and legally on youtube. It also protects your videos from receiving fraudulent claims by third parties that claim to own the administrative rights to the beats. If you have any questions concerning this issue, feel free to contact us anytime via email and we will respond in 24/48 business hours. We do not give out your information to anyone outside of our business and it is held privately on a secure server. We do not spam or overflow your inbox and will contact you between once to four times a month with information regarding LiLMedicBeats.com. By signing up to our mailing list, purchasing an item from us or becoming a member, you acknowledge you are on our mailing list as a recipient of our news and updates. Of course you may opt out and unsubscribe our newsletter at any time without need of sending us a message. All of our purchases and business activity is handled through PayPal and their secure servers or through national/international banks or institutions. LiLMedicBeats.com (LiL Medic) does not see, use, or know your financial information and we never ask for it. Your information remains private, period. We are not responsible for any damages incurred by malicious attacks on the Internet. All items marked for sale on this website and marketplaces we offer our products are for digital download only. We do not deliver any physical goods to you for purchases. As a result, all sales on digital downloadable goods are final and we cannot offer a refund for something we cannot take back. In rare cases of duplicate purchases, or other rare circumstances, we will match what you paid with an item of equal or similar value. Every circumstance is different and will be dependent upon review on outcomes of the situation at hand. LiLMedicBeats.com (LiL Medic) and ITS SUBSIDIARIES, AFFILIATES, LICENSORS, SERVICE PROVIDERS AND CONTENT PROVIDERS WILL NOT BE LIABLE FOR ANY INCIDENTAL, DIRECT, INDIRECT, PUNITIVE, ACTUAL, CONSEQUENTIAL, SPECIAL, EXEMPLARY, OR OTHER DAMAGES, INCLUDING LOSS OF REVENUE OR INCOME, PAIN AND SUFFERING, EMOTIONAL DISTRESS, OR SIMILAR DAMAGES, EVEN IF ‘LiLMedicBeats.com (LiL Medic)’ HAS BEEN ADVISED OF THE POSSIBILITY OF SUCH DAMAGES. Trademarks, service marks, logos, and copyrighted works appearing on this site are the property of LiLMedicBeats.com (LiL Medic) or the party that provided the trademarks, services marks, logos, and copyrighted work. LiLMedicBeats.com (LiL Medic) and any party that provided trademarks, service marks, logos, and copyrighted works retain all rights with respect to any of their respective trademarks, service marks, logos, and copyrighted works appearing in this site. If you have any questions concerning any of the points listed in this document or any content in the terms & conditions, you can contact us before making a purchase to our products or downloading/using any of our content/products, to avoid any misunderstanding. If any term, and/or corresponding content in these terms & conditions, is not understood fully, it is customer’s/licensee’s obligation to inform himself of the concerned terms to avoid any misunderstanding. Old Licenses - No Longer Available For Purchase. License Validity. TWO YEARS from the purchase date of your PayPal receipt or reaching sales / streaming cap. It is specifically understood and agreed that (Licensee/Buyer) understands after TWO YEARS or reaching sales / streaming cap they must remove all traces of their song from all distribution platforms. Master Use. (Licensor/Seller) hereby grants (Licensee/Buyer) so long as the terms are adhered to in this elite non-exclusive license to record vocal synchronization on the musical composition, beat / instrumental [“BEAT NAME”] that is being licensed in this agreement in it’s original form (Master Recording). Mechanical Rights. (Licensor/Seller) hereby grants original end-user (Licensee/Buyer) the non-exclusive use of the (Master Recording) as long as it is used with vocal synchronization in the reproduction, duplication, manufacture, and distribution of phonograph records, cassette tapes, compact disk, digital downloads, other miscellaneous audio and digital recordings, worldwide for up to the pressing or selling a total of Fifteen Thousand (15,000) copies of such Recordings or any combination of such Recordings, condition upon the payment to the(Licensor/Seller) a sum of One Hundred Fifty Dollars ($150), receipt of which is confirmed. Additionally(Licensee/Buyer) shall be permitted to distribute up to One Hundred Fifty Thousand (150,000) free internet downloads or streams for non-profit and non-commercial use. This license allows up to Two Hundred Thousand (200,000) monetized audio streams to sites like (Spotify, Tidal, Apple Music, RDIO, Rhapsody Etc…). Live Performances. (Licensor/Seller) hereby grants (Licensee/Buyer) so long as the terms are adhered to this elite non-exclusive license to use musical composition, beat / instrumental [“BEAT NAME”] for up to Fifty Two (52) Non Profit live performances within the validity period of this license agreement. Content ID / Monetization. This license DOES NOT include the ability to register for any Content ID services or Monetize your YouTube Videos. The musical compositions, beat / instrumental that is being licensed is registered for Content ID, you may see ads along side your YouTube videos but your video will not be blocked. If YouTube blocks your songs, videos please email Licensor/Seller) so they can help you try solve the issue. If you register for content id, or monetize your video your license will be terminated and become null and void. Note: Selling more than 15,000 copies, receiving more than 200,000 digital streams (Spotify, Tidal, Etc…) or receiving more than 500,000 Video Views means you must acquire another license or the Exclusive License. (As long as the Exclusive License has not been purchased by another party). Consideration. In consideration for the rights granted under this agreement, (Licensee/Buyer) shall pay to licensor the sum of One Hundred Fifty Dollars ($150) US dollars and other good and valuable consideration, payable to “Songwriters Name (LiL Medic / LiL Medic Beats)”, receipt of which is hereby acknowledged. Master Use. (Licensor/Seller) hereby grants (Licensee/Buyer) so long as the terms are adhered to in this unlimited non-exclusive license to record vocal synchronization on the musical composition, beat / instrumental [“BEAT NAME”] that is being licensed in this agreement in it’s original form (Master Recording).